← Blackberry Burried by India? I met with the World Food Program’s (WFP) Emergency Information Management team in Rome late last year and was pleasantly surprised when the term UAVs came up; Unmanned Areal Vehicles, otherwise known as drones and predators in different contexts. The fact that a leading field-based UN agency is actively engaged in a pilot program to use UAVs as early as this summer is particularly surprising and exciting at the same time. Why surprising? UN Member States have been consistently touchy vis-a-vis issues of sovereignty. Indeed, much time has passed since President Dwight Eisenhower’s 1960 proposal for a “UN aerial reconnaissance capability […] to detect preparations for attack” to operate “in the territories of all nations prepared to accept such inspection.” Eisenhower had pledged that “the United States is prepared not only to accept United Nations aerial surveillance, but to do everything in its power to contribute to the rapid organization and successful operation of such international surveillance.” My, my how times have changed. Why exciting? There is a notable albeit delayed “spill-over” effect between the use of ICTs by the disaster management and subsequently by the conflict prevention and human rights community. Furthermore, the occurrence of natural disasters amid complex political emergencies is an increasingly widespread phenomenon: over 140 natural disasters have occurred in complex political emergencies in the past five years alone. If satellite data are not available or not suitable to supply radiometric and geometric information, in situ missions must be foresaw. To this end the Pelican is equipped with a GPS/IMU navigation system and different photographic sensors suitable for digital photogrammetric shootings with satisfying geometric and radiometric quality. It can be easily transportable on normal aircrafts and usable on the field by a couple of operators. The aircraft is equipped with the MP2128g autopilot that allows autonomous flights and provides a real-time attitude of flight. The software HORIZONmp provides flight path and current sensor values in real-time. The operator can also insert a flight plan (up to 1000 waypoints) on a preloaded map and upload them during the flight. Besides the system can be connected with the payload cameras, so it is possible to schedule an automatic shooting time. The operations of take-off and landing must be accomplished manually due to the insufficient GPS’s in-flight accuracy. The Pelican uses the Ricoh GR commercial digital camera. The use of two Ricohs (stereo pairs) allows the Pelican to rapidly update existing maps and to perform 3D feature extraction devoted to the identification of areas that require further investigations. 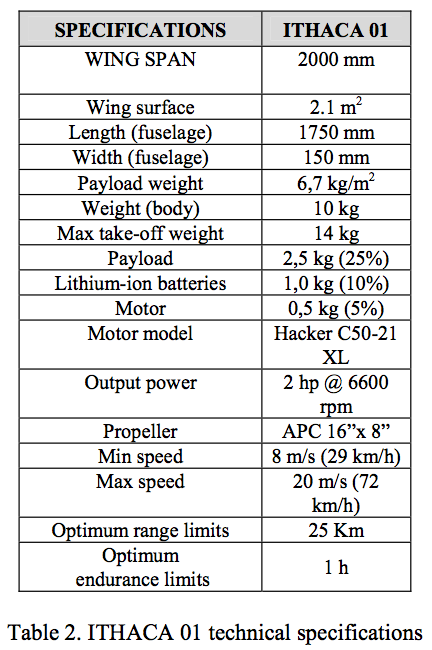 When I spoke to the team at WFP, they quoted a price range of $12-$10K, which is definitely the cheapest price tag I’ve come across for a UAV with the Pelican’s specs. 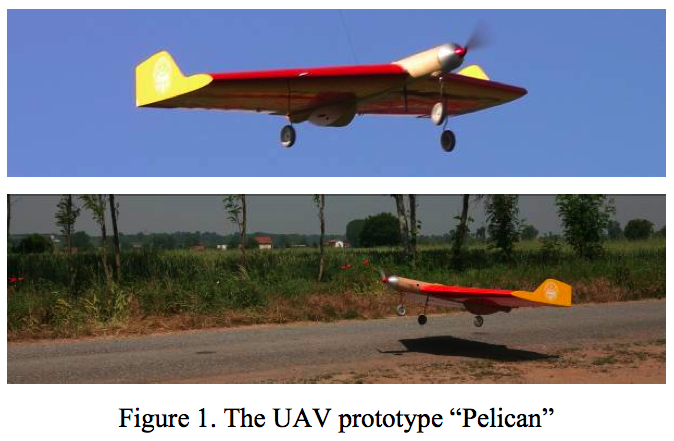 The folks in Torino are also working to push the range of the Pelican to 200km with longer endurance limits. One could then operate the Pelican from Thailand/Burmese border and fly the UAV into Burma to identify movement of soldiers. Of course, the military junta could try and take the bird down, but even if the small Pelican took a hit, all the data would have been captured before impact thanks to the real-time video downlink made possible by the Ricoh. The potential for an iRevolution would be met if video footage could be beamed to individual mobile phones, perhaps using the video encryption technology I recently blogged about. This entry was posted in Crisis Mapping, Drones/UAVs, Humanitarian Technologies and tagged drones, mapping, UAV. Bookmark the permalink. yaah its better to help poor peopel by latest technology inspite of killinig people in pakistan, afghanistan and iraq.